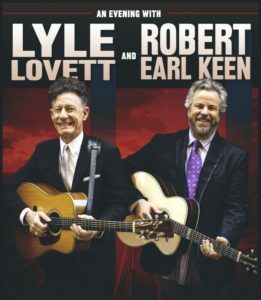 Don’t miss an evening with two legendary singers and songwriters, Lyle Lovett and Robert Earl Keen. The duo will be performing together in Louisville, Kentucky at the Brown Theatre on Wednesday, October 17 at 7:30 as part of The Kentucky Center Presents series. Tickets start at $45 and are available at KentuckyCenter.org/presents or by calling (502) 584-7777, (800) 775-7777. Tickets can also be purchase in-person at The Kentucky Center box office and drive-thru. Kentucky Center members can call the member hotline at (502) 566-5144. Please call (502) 566-5111 for information about the range of accessibility options we offer to enhance your performance experience. 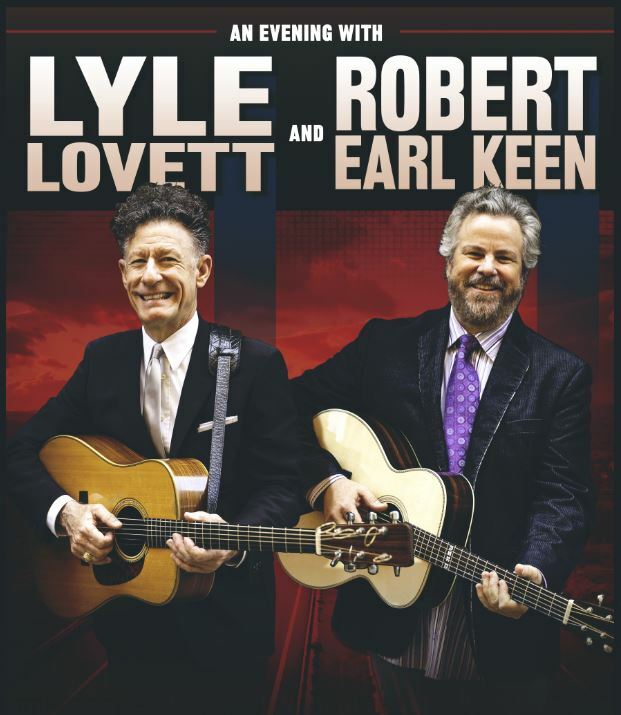 • Lyle Lovett is an American singer-songwriter and winner of four Grammy Awards, including Best Male Country Vocal Performance and Best Country Album. Lovett’s most commercially successful album “It’s Not Big It’s Large” was released in 2007, where it debuted and peaked at No. 2 on the Top Country Albums chart. His latest studio album, “Release Me,” was released in February 2012. • Robert Earl Keen is an American singer-songwriter and entertainer. Active since 1984, the Houston native has recorded 18 full-length albums in total. His songs have been covered by several country/folk musicians, including George Strait, Joe Ely, Lyle Lovett, The Highwaymen, Nanci Griffith and the Dixie Chicks. • Lovett and Keen both attended Texas A&M, where they both met and recorded their respective debut albums. The fellow Aggies co-wrote “The Front Porch Song,” which spurred their mutual songwriting relationship that continues today. The lifelong friends are both members of the Texas Heritage Songwriters Hall of Fame.